Seamless rib collar with two-needle cover stitching, hemmed sleeves and bottom. 100% preshrunk cotton. 100% cotton, men's T-shirt. 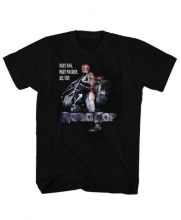 Machine Wash. Officially licensed product. Classic regular fit, double needle bottom hem and sleeves. 100% preshrunk cotton. Super soft ring spun cotton, high quality. 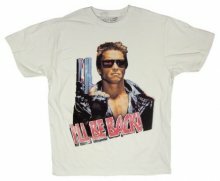 This t-shirt features the artwork from the first of the Terminator movie series with The Governator, Arnold Schwarzenegger, and his legendary line from the film which catapulted him from movie star to super star and became one of the most popular and recited lines in popular culture history! In white cotton, this tee features dot matrix style graphics for that retro 1980s look and feel. 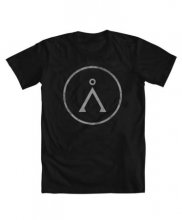 The straight-cut men's t-shirt is made of pre-shrunk and ring-spun cotton. 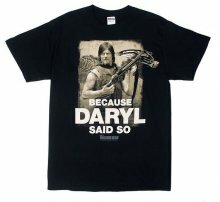 Available in sizes S, M, L, XL, XXL, XXXL and XXXXL. Short sleeve crew neck T-shirt, twin needle sleeve and bottom hems. 100% cotton. 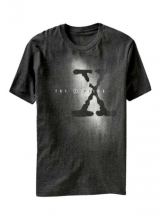 Features the X-Files logo from the show with the spotlight and shading from the introduction! 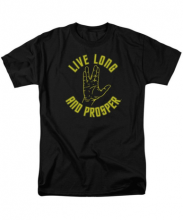 Solid colors are 100% Cotton, Heather colors are a soft Cotton/Polyester blend. Adult men's US sizes, standard fit and length. 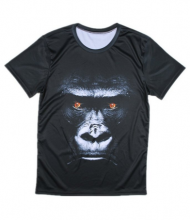 This t-shirt is hand-made and unique, using high quality 100% cotton. 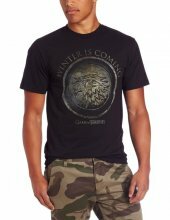 This graphic print design is printed only on the front of the shirt. 100% Cotton made T-shirt with a short sleeve crewneck. Machine wash without fade. Officially licensed Ant-Man t-shirt featuring graphic of Ant-Man logo and mask. 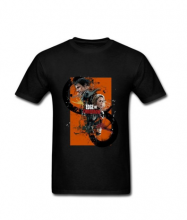 Pixels I Got Game men's T-shirt. 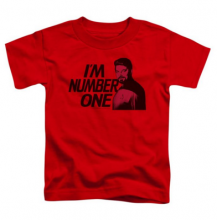 Made of 100% cotton with a super soft hand feel. 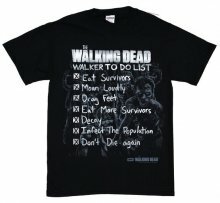 The Walking Dead "Walker To Do List" Adult Black T-Shirt.